W. W. Norton & Company, 9780393352146, 240pp. Mary Norris has spent more than three decades working in The New Yorker's renowned copy department, helping to maintain its celebrated high standards. 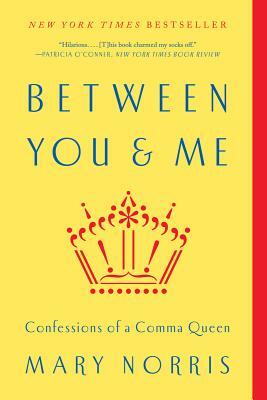 In Between You & Me, she brings her vast experience with grammar and usage, her good cheer and irreverence, and her finely sharpened pencils to help the rest of us in a boisterous language book as full of life as it is of practical advice. Named a Best Book of the Year by NPR, Amazon, Wall Street Journal, Publishers Weekly, Kirkus, and Library Journal.